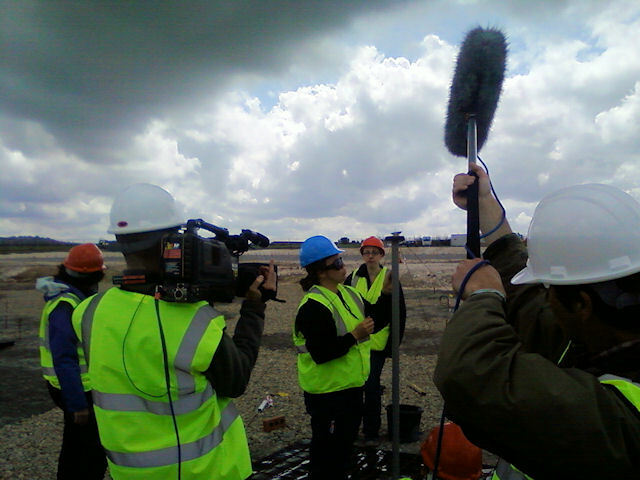 lofar-uk: A little bit of media attention. More pictures from behind the scenes of media day. Here Hana Schumacher adjusts the positioning of an LNA (Low Noise Amplifier) unit under intense media attention.